Bring cheer to the table with this rather memorable centerpiece. Filled with purple, orange, pink and red flowers, its sure to brighten things up. 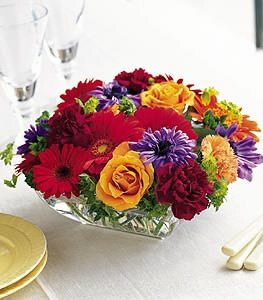 Carnations, gerberas and roses arrive presented in a clear square dish.